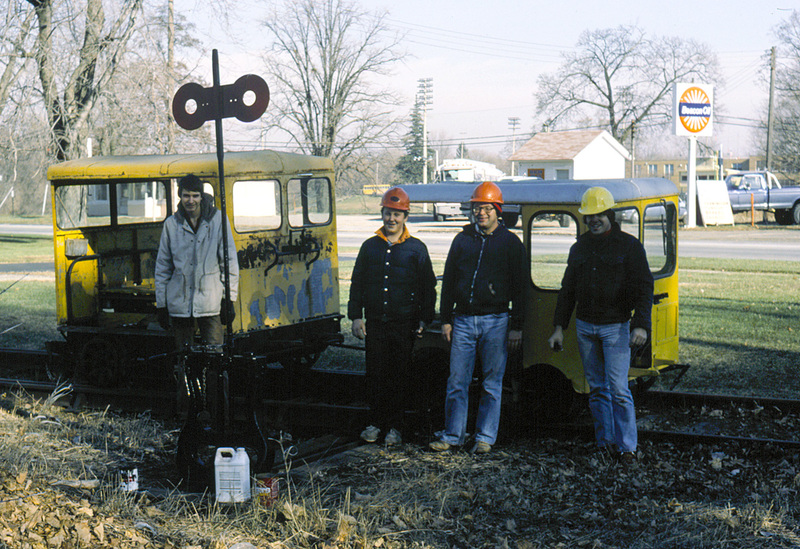 It looks like the weather in Tecumseh on Saturday, 08 December 1984 was pretty nice as this Southern Michigan Railroad crew set out to work on some maintenance tasks on the line. Here, at Shawnee St. in Tecumseh, they have been painting one of the line’s classic “harp-style” switch stands, installed by the Lake Shore & Michigan Southern Railroad some time prior to 1914. On hand this day (l-r): Dale Pape, Mike Couture, Ed Hodges and Tom Beauvais.